DNA analysis by the Namibia Forensic Science Institute positively identified the mortal remains of 13 people that were burned beyond recognition during two different motor vehicle accidents last year. 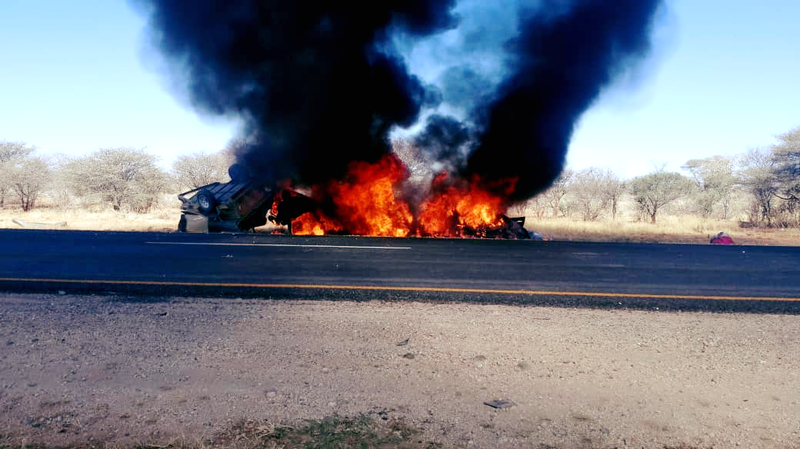 According to Chief Inspector Kauna Shikwambi from the Namibian Police’s Public Relations Division the 13 victims were killed in two separate accidents on the main road between Otavi and Otjiwarongo during August and November 2018. The remains of the six people that died as a result of the accident on the 10th of August 2018 were identified as that of Theresia Guxas (40), Zoey Iyaloo Haufiku (6), Star Nolitha Makinge (4), Marianne Makinge (67), Lazarus Makinge (69) and the 41-year-old Markus Musikarakuma. A total of eight people died as a result of the head-on collision between a double cab bakkie and a sedan vehicle. Four of the deceased were adults and four were children but only two of the victims could be positively identified at that time. 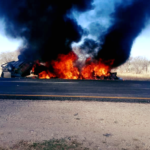 The remains of the seven people that were killed as a result of the second motor vehicle accident that occurred on the 7th of November 2018 on the same road were identified as that of the 63-year-old Magnaem Andreas, Julia Efraim(52), Saara Ndapandla(1), Krista Kavelishimwe(46), Helalia Mwayolange Martin(49), Rauna Tulela Mweenda (29) and Wilhem Hishitelwa Ulitala (54). The seven victims died as result of a collision between a long distance minibus taxi and a light pick-up truck. Chief Inspector Shikwambi said arrangements have been put in place for the remains to be transported to the respective regions from where the deceased persons originate. In this regard the families of the victims are requested to contact Chief Inspector Shatipamba at 061 209 4307 or at 081 273 5188.